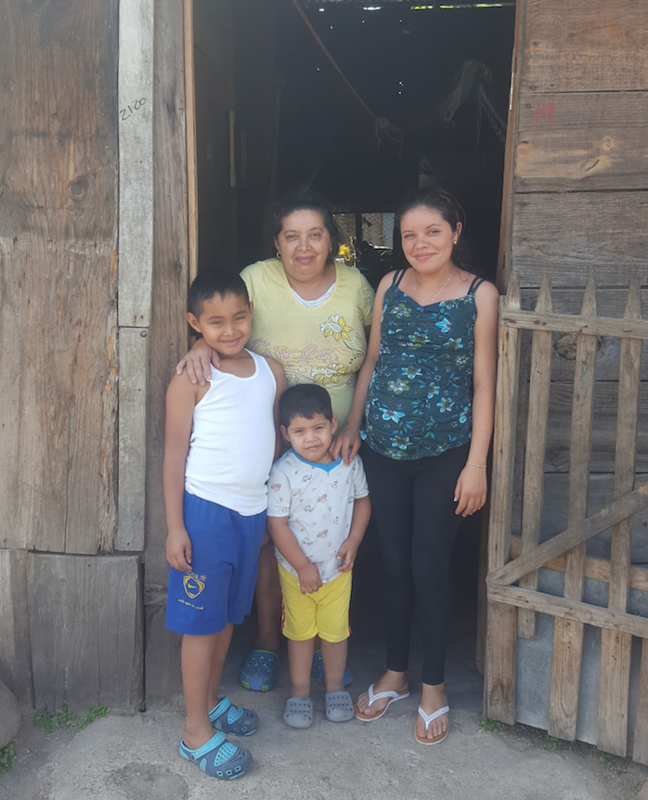 ReferralExchange, a leading agent to agent referral network based in San Francisco, has completely funded two life-changing homes for families in Nicaragua. ReferralExchange, a proud partner of Giveback Homes, has pledged to donate $100 for every closed agent-to-agent referral, up to $20,000 with the goal to raise enough money to host a build day in Sacramento and build 3 houses internationally. Meet the families who will be moving into these homes soon. 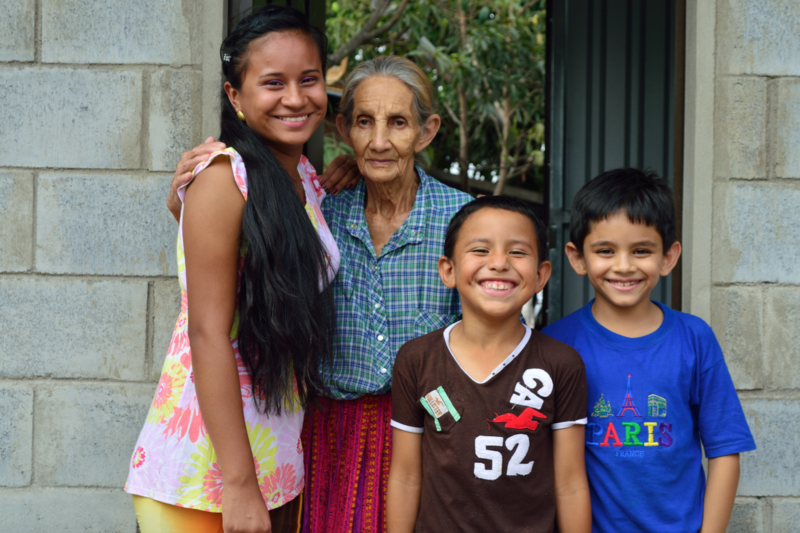 Maria Eva is a 79-year-old mother of 14. Out of these 14 children, seven have passed away. She currently lives on a lot with various small structures, where she and much of her extended family live, including two of her children and their own families. 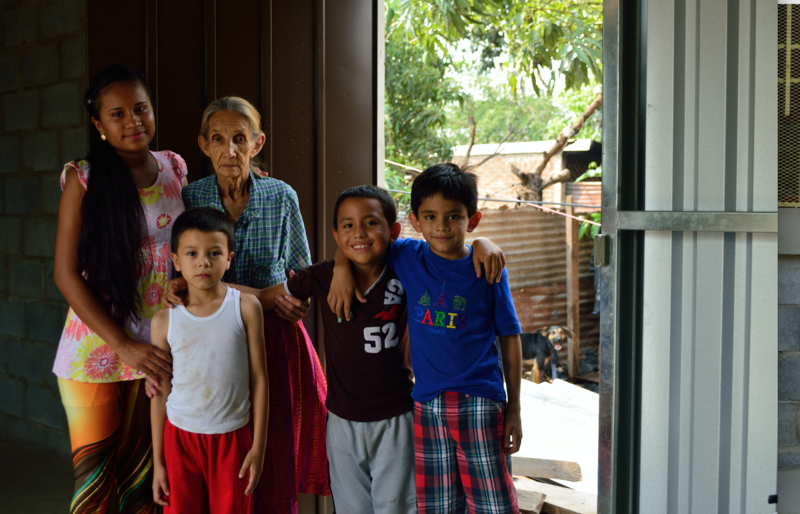 All 18 people that live on the land are Maria Eva’s children, grandchildren, and their partners. One of her grandchildren, 19-year-old Carlos Alfredo, is autistic and has aggressive tendencies. He suffered a recent seizure about six months ago. Maria Eva suffers from tachycardia and low blood pressure, while she has also showed symptoms of anemia, arthritis and high cholesterol. One of her sons, Juan Carlos (37), has taken responsibility for Maria Eva in regards to her expenses. He works as a painter, however often struggles due to his arthritis. The rest of the families take care of their own expenses. Maria Eva refers to her home as “the hive” due to the number of people that live together in such a small space. Maria is looking forward to a safe, new home for her family. Blanca is a 53-year-old widow. Her husband Jose, who worked as a farmer, passed away eight years ago from stomach cancer. Currently, her two daughters, 27-year-old Ingrid Yaritza and 24-year-old Jessica del Carmen, live with her. Both were able to finish high school. Ingrid works at one of the nearby tobacco factories, while her husband, Ricardo Rene, works at a water distribution company. Together, they have two children, Ricardo (8) and Gerald (3). Blanca has a business making and selling tortillas, and is also a seamstress. On average, she makes 200 tortillas per day. They have lived in their current home for 20 years. 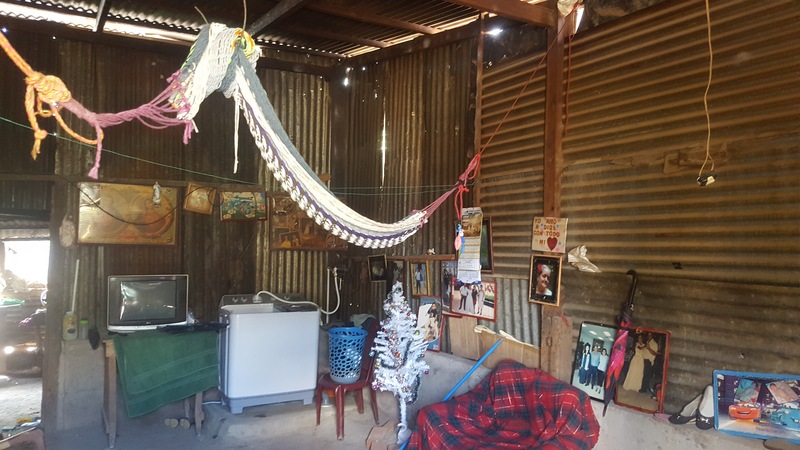 Their current house is made of old rotting wood, zinc metal sheets, and a dirt floor. 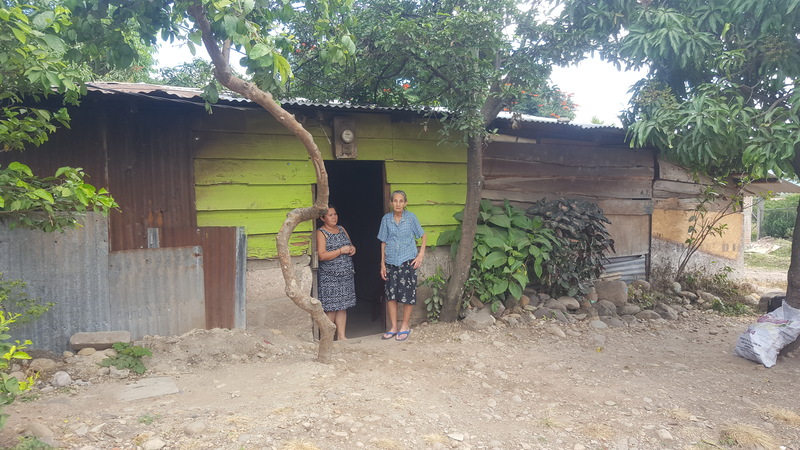 It is unstable and unsafe and the entire house moves when there are tremors, which is common in Nicaragua. 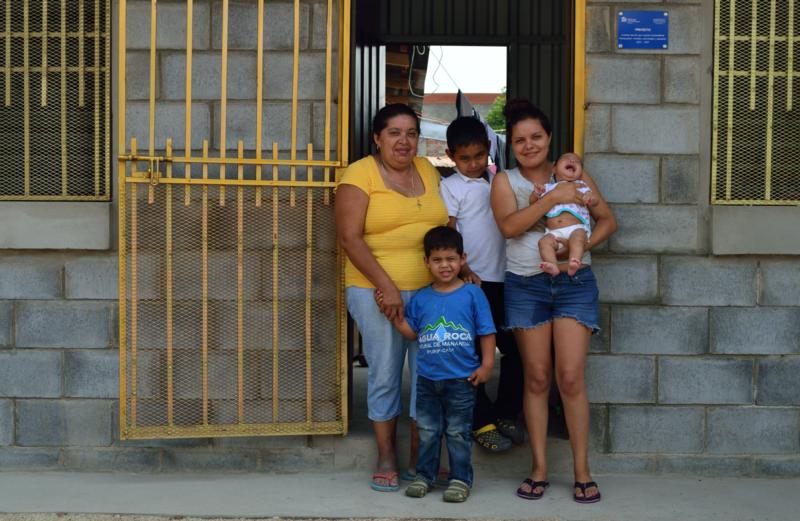 Blanca feels very happy to receive the blessing of this new home, which will be a much safer place for her and her family to live.